Anne and Harry Coulter know what it is like trying to get answers when a vaccine is implicated in the death of a child. Over 16 years on from the sudden death of their son, Christopher, the official cause of death is an epileptic fit. However, correspondence now uncovered between those investigating the 15-year-old’s death and the second opinion of an English pathologist challenge this finding and instead acknowledge that the combined Measles and Rubella injection Christopher was given 10 days before his death could have played a part. Concerns raised with the Department of Health in 1996 about this key issue appear to have been ignored and since then the Coulters have battled on – often alone – for answers. Vaccine campaigners say the Hillsborough family’s case is replicated across the UK; that in hundreds of similar cases, the government is unwilling to delve into territory which may derail the bigger project of population immunity from serious diseases. “Christopher had a reaction but since then doors have been closed to us. No one has come to us to say that this should not have happened but it did and that they are sorry. Christopher’s death devastated the lives of his parents and two sisters a week before Christmas in 1994. The teenager arrived home on December 17th at 10.30pm after visiting a friend. He made his parents toast and tea – as he often did – and chatted for an hour before saying goodnight and going to bed. Harry went to waken his son the next morning but instead found him dead in his bed. Ten days earlier, Christopher had received the combined MR (Measles and Rubella) vaccine at school as part of a government campaign. Ten days is highly significant as this is the exact point when any reaction to the vaccine is expected. After her son’s funeral, Anne learnt that another pupil from Wallace High School had also suffered a serious seizure after receiving a vaccine from the same batch as Christopher. This cemented her initial concern that the vaccine may have been to blame. 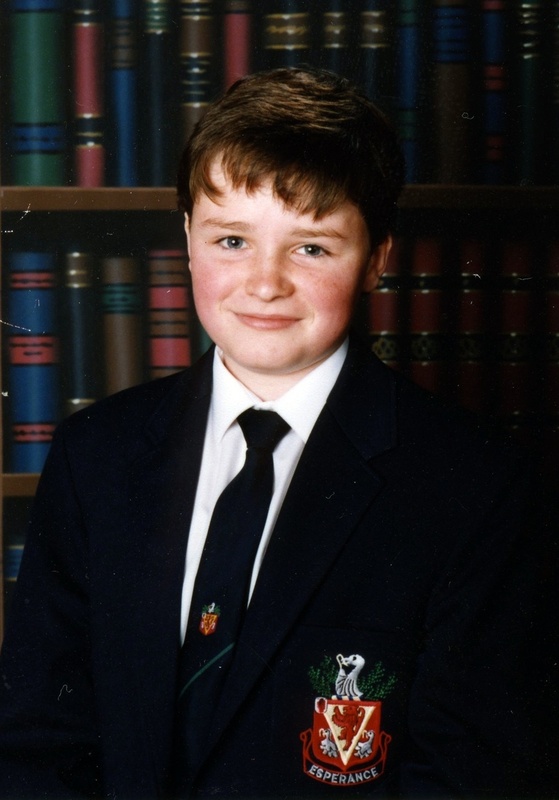 But despite all of this, the inquest into Christopher’s death in 1995 concluded that he had died from an epileptic fit and any connection to the vaccine was excluded. However, the one page report on the inquest findings also states that there was no previous history of epilepsy. A letter written five months after the inquest by an eminent pathology professor who dealt with Christopher’s case admits that “it is not certain if he had an epileptic fit but this is a speculation”. Sitting in their living room, we pore over the many documents, reports and letters Anne has amassed in relation to Christopher’s case over the last 16 years. They have contacted departments, politicians from all parties, medical experts, ombudsmen and even the Prime Minister. The Coulters are calm and considered but, understandably, occasionally become emotional as they discuss what happened to their son. They continually stress that they need to know why he died. Anne said: “This is something that I cannot let go of because he was my son, my child. “Christopher brought a consent form home from school for the MR injection and I just filled it in. Ten days later we found him dead in bed. We will never get over it. The Coulters later took tissue blocks across to a professor in England for a second opinion and she connected Christopher’s death with the vaccine. 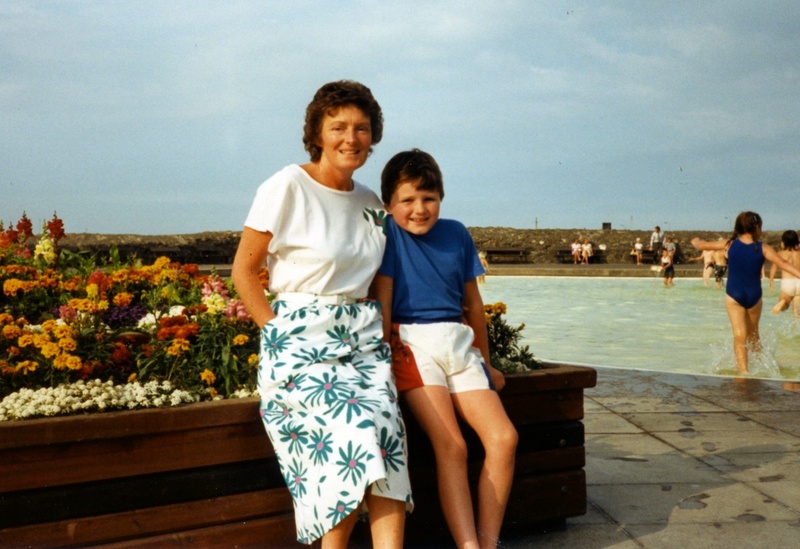 Anne continued: “My biggest mistake was not taking a solicitor to the original inquest. I did not have the knowledge and we were too broken to understand that. A man from the church and our doctor just came with us. “I have always known what killed Christopher and fear that people are just trying to cover this up. I think that children are being damaged by vaccines being pumped into their bodies which they cannot cope with. 1. The ‘yellow card’ which doctors use to report suspected adverse drug reactions was only submitted on Christopher’s case by his GP to the Committee on Safety of Medicines in February 1996. Over a year after his death and after the inquest had concluded. The document includes Christopher’s reaction and that the “suspected drug” was the MR vaccination. At this time, members of the public could not report reactions. 2. A letter written by Professor Ingrid Allen (now Dame Ingrid) – from the Institute of Pathology at Queen’s University in Belfast – in January 1996 to the National Institute for Biological Standards and Control asks where she could find out if the batch of vaccine given to Christopher and his classmate produced “unexplained complications” in other children. The letter was also copied to Dr David Salisbury – Director of Immunisation at the Department of Health. His reply stated that there did not appear to be an enhanced level of reactivity associated with the vaccine batch given to Christopher and his classmate. 6. The Coulter family also found out – as a result of inquires made after a UK-wide public outcry over organ retention – that Christopher’s heart and one of his lungs had been removed and retained without their consent. The Detail contacted the Department of Health in London and asked for a series of questions to be put to Dr Salisbury – the department’s Director of Immunisation. We asked if he remembers Christopher’s case and if he is concerned that the MR injection may have played a part in his death. He referred us to a 1995 review of “adverse events” that occurred during the MR campaign. This paper states that the department received reports of 2,735 adverse reactions across the UK – 530 of which were serious. Ninety-one reports involved serious neurological reactions. The report states that none of the reactions had a fatal outcome and concludes that “the balance of risks and benefits associated with MR vaccine is highly favourable”. Unfortunately, it is unlikely that Christopher’s case would have been included in this research as the ‘yellow card’ was only submitted by his GP in 1996. We requested an interview with the coroner John Leckey, who dealt with Christopher’s case, but were told that Mr Leckey was “not available for interview”. The Coulters’ claim for compensation under the government’s Vaccine Damage Payment Scheme was unsuccessful but, for them, this was never about the money. Ideally, they would like a fresh inquest into Christopher’s death – which can only be granted by the Attorney General John Larkin. The Coulters will continue to push for recognition of their belief that the MR jab played a part in Christopher’s death. “There is nothing more precious in this world than your child,” Anne said. “I, as a parent, deserve to know what killed Christopher and I will fight for this for as long as I can breathe.